The effects of the longest government shutdown in history went beyond the area's 145,000 federal employees and more than 100,000 federal contractors who missed their paychecks during the shutdown. 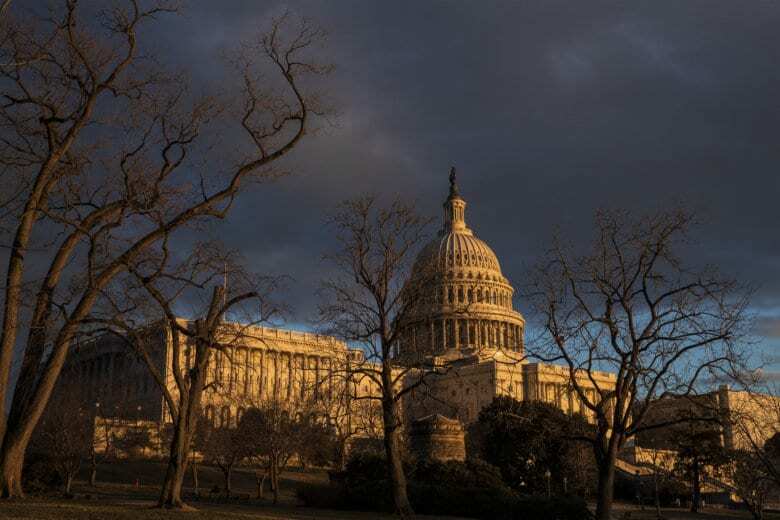 WASHINGTON — The D.C. region was hit hard by the longest government shutdown in U.S. history, which came to an end after Congress and President Donald Trump worked out a deal to reopen the government for at least three weeks. The 35-day shutdown cost the local economy $1.6 billion, according to Stephen Fuller, a regional economist with George Mason University. According to Fuller, there were 145,000 federal employees and more than 100,000 federal contractors in the area who missed their paychecks during the shutdown. The region’s growth rate for 2019, which was projected to be around 2.9 percent, is now expected to take a significant hit. It could go down to 2.7 percent, Fuller predicted. In addition to the financial damage, Fuller said the “brand” of the area has been tarnished. A bipartisan committee of House and Senate lawmakers is expected to consider border spending as part of the legislative process to keep the government open past a Feb. 15 deadline for a budget agreement. President Trump doesn’t think the negotiators will strike a deal that he’d accept. He pledges to build a wall anyway using his executive powers to declare a national emergency if necessary.